The donation from David Harding, via his foundation, is the biggest single gift made to a university in the UK by a British philanthropist. The money will fund postgraduate scholarships for more than 100 PhD students and be invested in attracting students from "under-represented groups". Vice-chancellor Prof Stephen J Toope said it was "extraordinarily generous". A £79m slice of the funding will go towards scholarships for more than 100 PhD students in residence, starting in October, around £25m of which will go to St Catharine's College, where Mr Harding studied natural sciences. Prof Sir Mark Welland, Master of St Catharine's College, said the investment would "have a tremendous and permanent impact" on the university as a whole. The remaining £21m will go towards undergraduate support and encourage further alumni philanthropy - £1m of which will also be invested in attracting students from "under-represented groups". Prof Toope said the gift would "transform the lives of students". 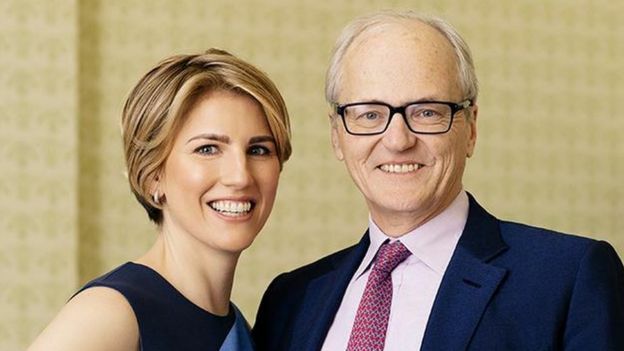 "This extraordinarily generous gift will be invaluable in sustaining Cambridge's place among the world's leading universities and will help to transform our offer to students," he said. "We are determined that Cambridge should nurture the finest academic talent, whatever the background or means of our students." The largest single donation to a British university prior to Mr Harding's was in 2000, when the Bill and Melinda Gates Foundation donated $210m (£161m) to Cambridge University.